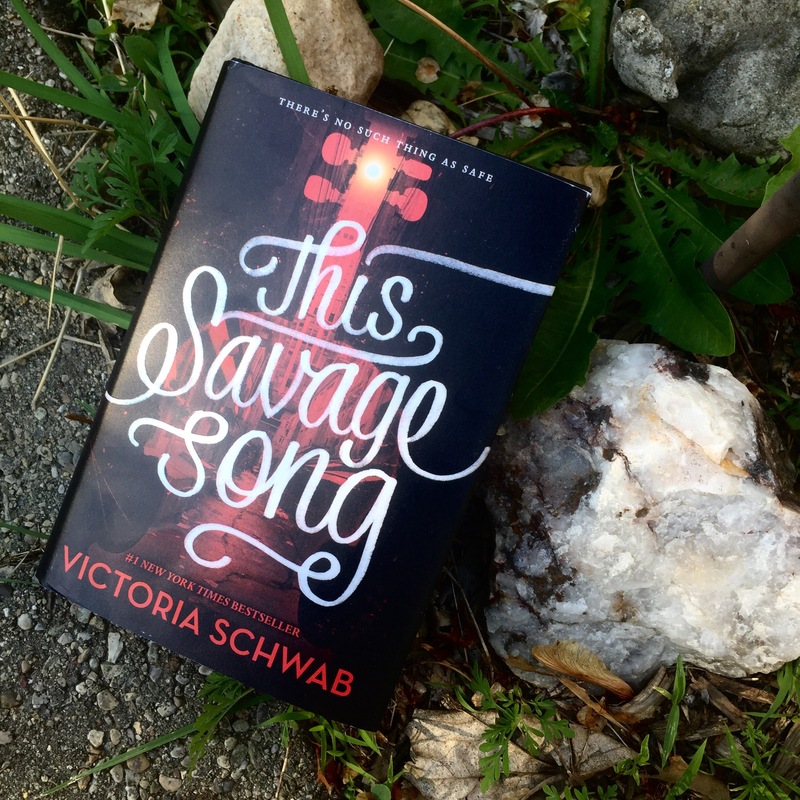 This Savage Song by Victoria Schwab came out in July 2016. I bought it because her anxiety on Twitter about people buying its sequel overwhelmed me so I bought it and it’s imminently releasing sequel. I read it May 8-13, 2017. It’s good preparation for when Our Dark Duet comes out June 13, 2017. I think if I keep reading Victoria Schwab, all my top favorite female characters will have been created by her. Because Kate is awesome, and I’ve already pretty much given my entire heart to Lila Bard. One of the things that sets Schwab apart from anyone else I read is the depth of emotions her characters experience, and how dynamic they are. Her characters always have the power to surprise me but not in ways that seem out of step with the plot, or with everything you already know about them. They are as real as people, and that’s such a unique talent. Kate and August, as well as some of the more periphery characters like Ilsa, Leo, Callum, and Henry all have more to them, and more to understand. Even some of the smallest characters, like Emily Flynn, have these tiny touches of detail that tell you more than just their name and their relationship to the main characters. Kate Harker is awesome. I love that she begins the story thinking there’s only one way to be tough, or one way to take control, and learns that there’s more than that. Kate isn’t as cold as she likes to pretend, and ultimately that will prove to be a positive thing for her. Still, I might be more afraid to meet Kate in a dark alley than any Corsai or Malchai. I will admit it took me a bit to get into this book – it’s a very different world, and there is a lot of history and rules that are alluded to that you have to try and parse out. I was only reading 1-2 chapters a night which is unusual for me, but once the friendship between Kate and August is established I was hooked in. It’s definitely the kind of story that needs to do some exposition before it gets to the main action of the story, and even if it’s interesting it doesn’t always make the story move quickly. Still, it was break-neck pace once things really got going and I was so concerned for those two and the people in their lives. I read the majority of the book today, in my hammock. It was wonderful. I’m totally obsessed with the mythology of Verity. I think I’m just obsessed with Schwab’s brain and the mythology she creates in general. Back to the point – the Corsai, Malchai, and Sunai are a symptom, not the problem. We learn a little bit about where they came from and how they were created, but there are more questions than answers. There are more things to be discovered about what role they really have to play, and what direction the world is heading in. War has happened, war is inevitable, and there’s no guarantees that everyone will survive. There’s no guarantee that humanity is even supposed to. Because ultimately this is a story about what makes us human, and what happens when we forget what those things are. What happens when we fail to see the humanity in others. Let’s think about humanity like this: if you don’t use it, you lose it. You know why YA dystopian is a thing? Because teenagers see the world in black and white, they see NOW, and when you’re fighting the system that’s what you need to be able to do. This is another series that makes clear how little the adults see the landscape of their world. How much easier they find it to sacrifice people, and kids don’t see things that way. I cannot wait to see what Kate and August make of the mess the adults have made, and how they might find a way to save the people that can be saved. Overall I give this a 4/5 because it took me a bit to get into it, but once it hooked me I was all in. If you like supernatural mythology, ridiculously well-written characters, then you should absolutely read this. I am really ready for Our Dark Duet!